The Up North Fire Globe by Melissa Crisp is inspired by the forests of Upper Wisconsin which was the childhood home of her mother, Marlene Appel. 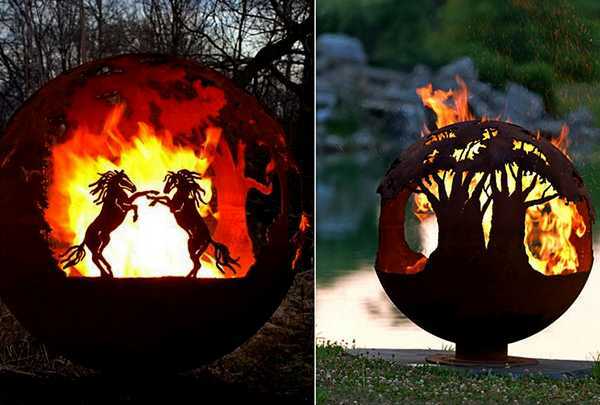 The Globes are unique and creative outdoor home decorations, gorgeous fire pits that make a statement. 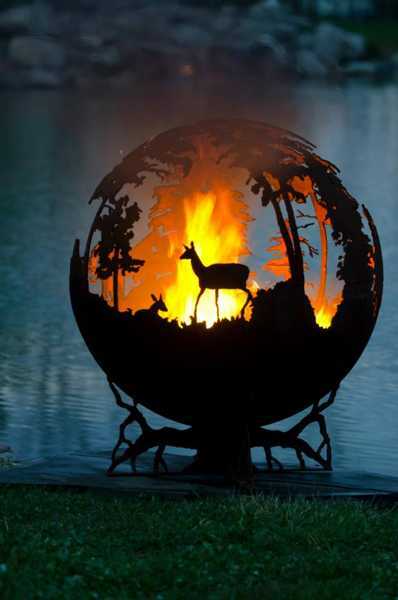 The fire globes feature various designs, – Bull Moose, Doe and Fawn and Ducks flying through the Tamarak trees. The Up North globes are created as wood burning sculptural fire pits. The attractive globe can be converted to gas also, offering an unusual centerpiece, an impressive artwork and a beautiful addition to backyard design. 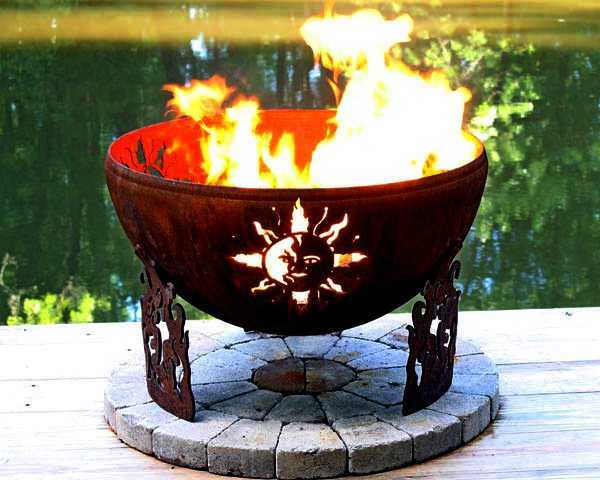 The fire pits are created of American-made steel, feature a rust patina finish and have a rain drain at the bottom. 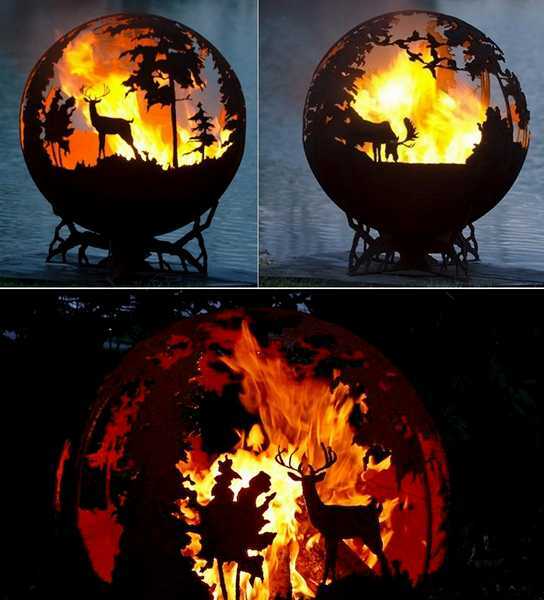 The base of these unique outdoor home decorations is made up of tree branches supporting this 36 diameter fire globe. Each fire pit is numbered and custom made. 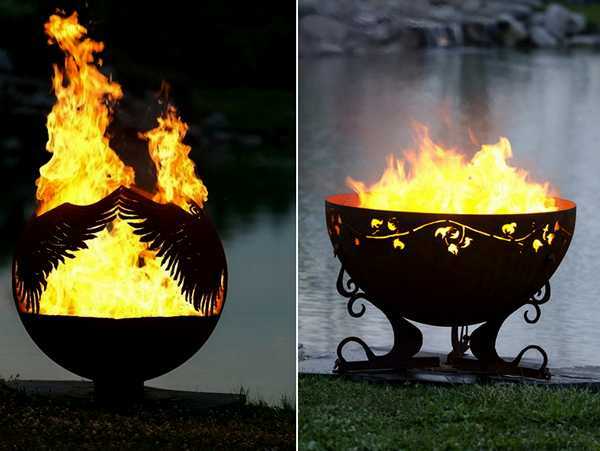 The globes look fantastic in day light and at night, bringing amazing hand crafted fire pits into backyard designs. Melissa is the artist having been drawing and sketching since 4th grade after her father Tom built her an art desk. All her designs are unique and showcase incredible details that decorate the globes. 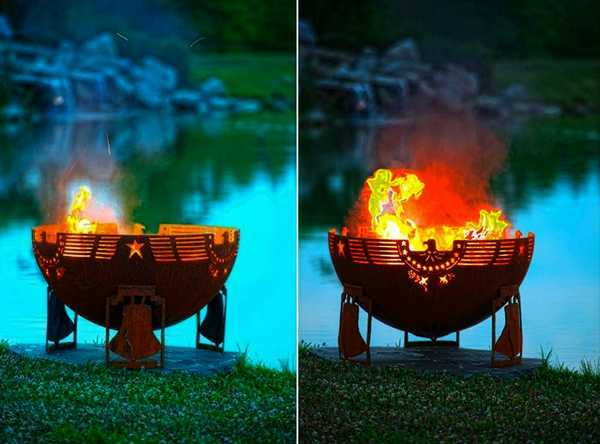 The artist creates outdoor home decorations with fire and inspire you to think differently about your backyard design and decorating at night, because the real show begins when the fire pit is lit up. These creative yard decorations are available from The Fire Pit Gallery, http://thefirepitgallery.com/fire-pit-gallery.html. The price is $1,600 US. 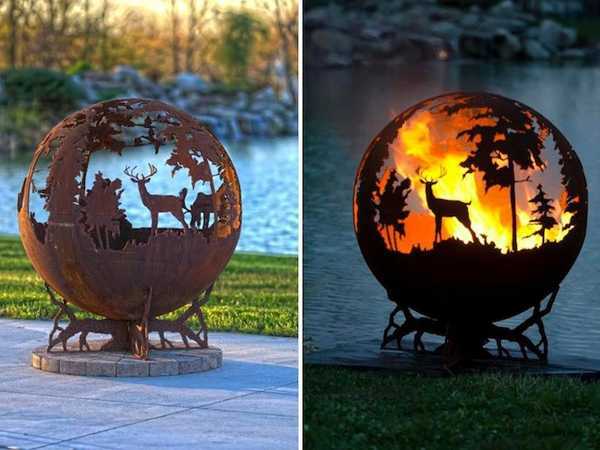 The artist uses a plasma cutter to cut the jagged edges which results in beautiful, dramatic but disturbing scenes of forest fires.